Time seem to be on fast forward at the moment! And I seem to be finding it harder to find the time for my special little internet space. Here are some instagram photos that I've been taking the last few weeks at work and at school. 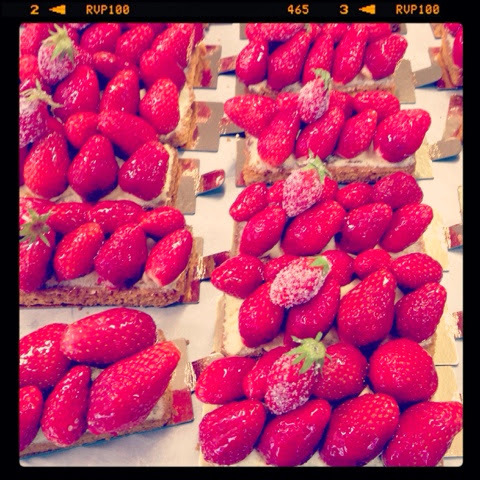 It is strawberry season so the patisseries have been altered for a more summery palette. 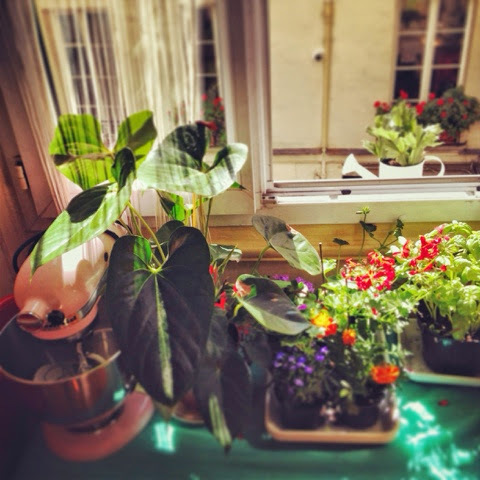 Everything is colourful and bright. We've gone from the chocolate/caramel/coffee and cream flavours of winter to fresh strawberry tarts, fraisiers, raspberry millefeuilles and passionfruit and raspberry entremets. 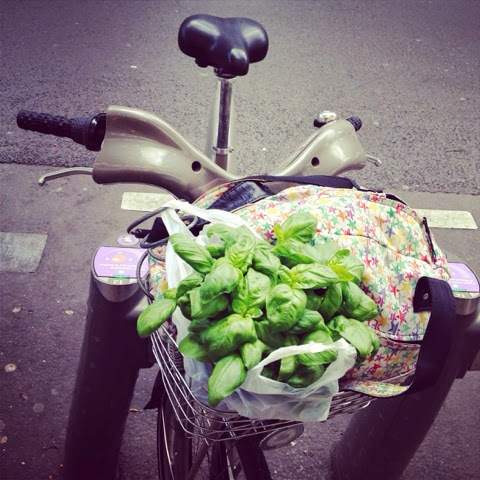 My velib needed to be loaded with a bouquet of basil the other day. 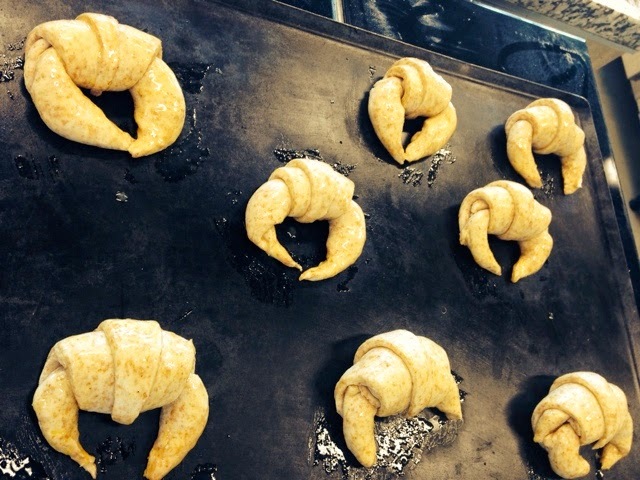 At patisserie school last week, I managed to convince my teacher and my fellow classmates to try the croissant with wholemeal flour, and "beurre noisette". 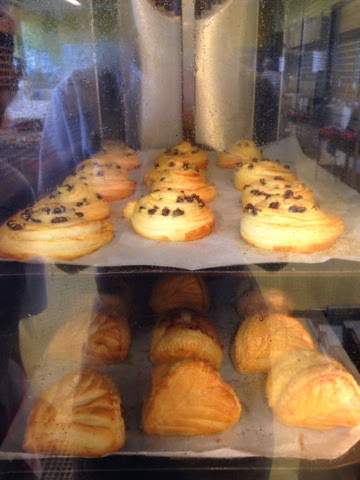 I am inspired by the italian "croissant integrale" that they like so much so I wanted to make it myself. It tasted richer and slightly more dense, the beurre noisette added a caramelised butter flavour that worked well with the wholemeal flour. I'm afraid I didn't get a chance to take a photo of the end result since everyone grabbed one when they came out of the oven! 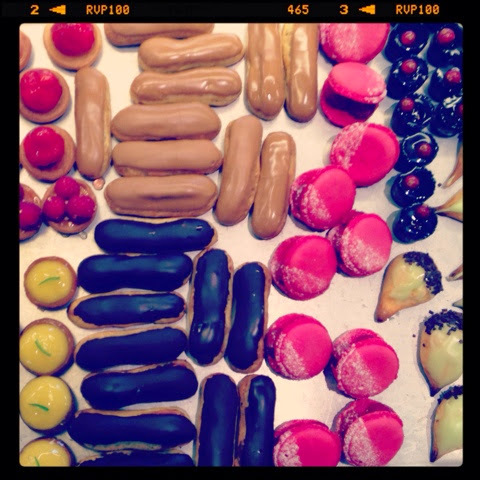 Posted on May 19, 2014 by Abigail Scheuer and filed under paris, sweet, desserts and tagged pastry pastrylife inspiration2.